For a full list of services provided by BCS Electrics, download a copy of our latest brochure. To ensure businesses remain fully operational 24/7, we have an emergency call out number for all clients. Contact us for details on how you too, could benefit from using our designated client number. To find directions to the BCS Electrics office click here. A full service electrical contracting company based in Leeds, BCS Electrics provide installation and maintenance work for businesses throughout Yorkshire and Humberside. We ensure our clients are fully operational and compliant, safe in the knowledge their electrical infrastructure is taken care of by highly skilled electrical engineers and project managers. Our systems follow a strict code of health and safety, exceptional customer service and project delivery. BCS Electrics … we’ve been keeping businesses switched on and powered up since 1946. The best. They are simply fantastic! I have worked with BCS Electrics for many years, engaging them on non-structural, mainly interior electrical work. They go above and beyond the call of duty, never leaving until everything is done. They take extra time to make sure everything is completed properly, leaving us clean and tidy afterwards. Sometimes the work we ask them to do is with quick turnaround times. Even then, they are really good. All the crew are friendly, polite and courteous with very high standards but at the same time, competitively priced. One of the nicest things about BCS Electrics is that I have watched some of them grow up. From young apprentices to fully qualified electricians with growing families. It’s good to use businesses that are local to us too, we feel like we are helping the local community. BCS Electrics were awarded through competitive tender the renewal of the Dewsbury Hospital Ridings Building clinical block infrastructure while maintaining services to the existing infrastructure supplying operating theatres, high dependency units and ward areas. The implementation of the works required careful planning and coordination with specialist companies involved with the project. Working closely with the Hospital Estates Department, Jack Nicholson and his site team fully engaged with the project to deliver a high quality electrical installation while always considering the measures necessary to work safely within a live Hospital environment. We would not hesitate to recommend Dean, Jack, Andy and their team for electrical installation work. I have worked with BCS Electrics for nearly 12 years now and I can honestly say they are the best electrical contractors I have ever worked with. Jack, Andy, Chris .. all of the BCS lads are very approachable and really easy to get on with. I have worked with BCS Electrics on a number of projects and always found them very reliable. Chris Hull and the team do a great job and I am happy to keep using them for all our electrical work. This includes working on jobs as part of our office refits and upgrades as well as general electrical maintenance and repair work. When required, BCS Electrics test our installation and equipment with EICR and PAT testing, as well as fire alarm and emergency lighting testing. Thornhill Estates have a varied portfolio of residential and commercial properties, we have worked with Paul Boyes and BCS Electrics since 2012, relying on the team for electrical maintenance work to keep properties fully operational. BCS Electrics work efficiently and quickly on all projects we assign them. They always get things done and can drop onto jobs at short notice, often at times when our tenants need them most. Their 24/7 call out service gives us peace of mind that we can call them any time to fix problems or put steps in place to limit disruption. We have worked with BCS Electrics for over 25 years. In this time, the team have carried out electrical installation and electrical maintenance at Yorkshire Design Group headquarters, as well as on all commercial office and studio space managed by YDG in Leeds. 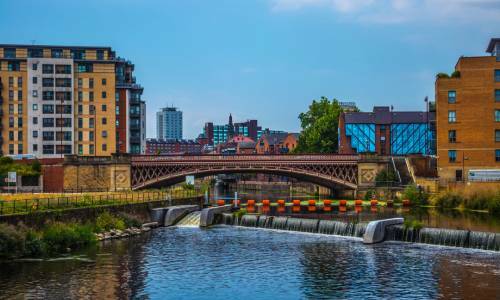 We are experts in urban regeneration and the redevelopment of industrial built heritage, known for delivering developments with quality and integrity. It is important to us that those we work with, share the same values and standards. We find this and more in BCS Electrics. Chris Hull and the team, not only give outstanding customer service but they are there when we need them most. From routine electrical maintenance work to when the unexpected happens, each time they deliver. Particular thanks to Chris for his professionalism and experience but to all the BCS Electrics team for the work they have done for YDG and our clients. We are a large signage company typically producing 5 signage orders per day for our clients. This means we have very little time for chasing contractors who don’t turn up. We chose to use BCS Electrics for our recent PAT testing as we believed that we would get the service we require. Your colleague solved this contractor issue for us. He was on time, smart in appearance and professional in attitude. He introduced himself and was eager to get on with the job. He got on well with all the staff and was very efficient. We particularly liked the way the items being tested were marked up with the test date and when it is next due. I also liked the report sent to me by email with a full list of items tested whilst he was here. The whole process ran smoothly from enquiry to delivery which meant I was left to get on with other things and didn’t have to chase anybody. We would not hesitate in recommending you and your team for any electrical requirements. 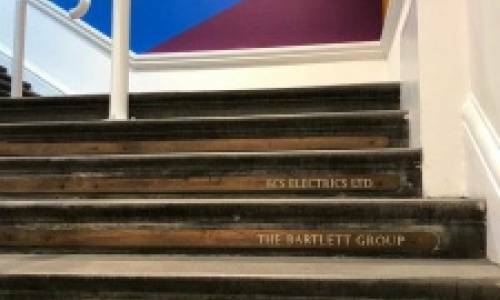 We were introduced to BCS Electrics through an associate when needed electrical work for our Head Office in Harrogate and our Extra Care Housing Scheme which provides facilities for supported and independent living. The electrical work included repairs to bungalows and bed sits under Harrogate Neighbours Housing Association. Homes to tenants who are elderly as well as other vulnerable adults. Throughout their time with us, we found the BCS Electrics engineers to be super friendly and conducted themselves in such a way that fitted perfectly in the surroundings they were in. Putting our tenants at ease by being helpful and pleasant, they were simply brilliant. Not only this but they were meticulous when it came to health and safety. As a housing association working with vulnerable adults, the qualities of BCS Electrics on this project helped make the whole process seamless. On behalf of HNHA, I would like to thank them for their professionalism and attitude throughout. We would certainly recommend BCS Electrics to similar organisations and would not hesitate to bring them back for future electrical work. Thank you Dean and the BCS Electrics team. Here at our main office at Walsh Taylor, Leeds we rely on the office to be fully functioning, as time is of the essence with our clients. We experienced a problem with our fire system that was causing a disturbance to our office and needed fixing straight away. As soon as I made contact with Dean, he put a colleague in touch straight away and their electricians attended the premises without delay, providing us with advice and a solution to the problem. Whilst the problem was relatively easy to resolve, we still received the highest level of customer service as any other client would receive. I would not hesitate to recommend you to other businesses and we will be using you again in the near future for any electrical issues that we have. Leeds based BCS Electrics has been working with Envirovent for over five years, using their ventilation products on domestic properties. Queen’s award winners, Envirovent are a leading manufacturer and supplier of energy efficient and sustainable ventilation products. Liam, a BCS Electrics electrician, is one of their company’s approved installers and has fitted Envirovent’s products on a variety of projects. Recently Liam was asked to photograph how he fitted the award winning products as part of his ongoing projects. When the photographs were received by Envirovent, they were so impressed at the installation and finished job, they sent the photographs to their other approved contractors, as an example to follow on how they should be fitted. Alan Bradbury, Envirovent’s Regional Installation Manager said “we asked Liam to photograph his most recent installation for quality purposes as part of our procedures. We were sure Liam would return evidence of a top class installation. When companies don’t fit them correctly it can cause us problems long term. We thought this should be shared as an example to other contractors of how to fit our products”. We were pleased to be able to show best practice on behalf of Envirovent and hope it helps other contractors in the process. We engaged BCS Electrics to re position smoke detectors and visual sensors to ensure we were compliant with our health and safety regulations. With the works being potentially hugely disruptive to our day to day operations it was paramount that the timing of the job was carefully planned. The only time we could make the office available was during the Christmas period. Despite the BCS office being closed over this period also, they organised a team of electricians to come in and complete the project whilst we were away. Dean Towers personally came out to the office to collect the keys meaning I was in no way inconvenienced by the necessary works. In the New Year, Dean returned the keys and to check I was completely satisfied with the job the BCS Electrics team had done. The office was spotless, the job done perfectly and the lads even washed their cups and emptied the bins. I would have no hesitation in recommending Dean and the team at BCS Electrics to friends, family and business associates. One off repairs to full maintenance programmes for local businesses or multisite units nationwide. Design management, full electrical installation and commission work including testing, inspection and certification. Programmed Electrical Installation Reports (EICR) to manage safety shortcomings, defects or deviations in line with current electrical regulations BS7671. Installation and maintenance of fire detection and emergency lighting systems, including ongoing testing, inspection and certification. Fire alarm and emergency lighting maintenance and testing including assessment, programmed fire detection test and certification. Installation and containment of data, including assessment, design and structured cabling solution to maximise performance and durability of voice and/or data. As part of Electrical Installation Reports (EICR), BCS Electrics provides an additional service, thermographic imaging which can identify further hidden electrical dangers within commercial buildings. Portable Appliance Testing (PAT) is the examination of electrical appliances and equipment to ensure they are safe to use. What are the benefits of using LED lighting? LED lighting has an excellent operational life span, much longer than traditional light fittings so the overall benefit is cost. You don’t need to keep replacing LED lights, therefore you don’t need to keep buying them! Even better, the overall cost of purchasing LED is reducing and the quality is increasing. Yes they are actually working longer and looking better. When repairing or changing your existing installation, we recommend making the swap to LED lighting. This way very quickly all your lighting works for longer, saving you money at the same time. Warranties are dependent on the manufacturer but duration times can last between two to five years. So in all … a great energy and money saving exercise. On top of this, LED lighting gives you durability and design flexibility, even more advantages of moving forward with LED. One last thing, you’re also helping the environment! What is the most cost effective way to light rooms that are not used every day? The most cost effective way to light rooms that are not used every day, is to use energy saving controls, detectors that react depending on movement in the room. Think of a room at your place of work that is unused but the lights are always left on. You know that energy is wasted and more importantly to you, money is wasted. No one likes to waste money which is why, here at BCS Electrics, we endorse energy saving controls. Products such as Absence Detectors and Presence Detectors rely on movement, which means you are only paying for energy when the room is in use. Human error will always be the biggest part of standard lighting being left on. People often forget to switch lights off as they leave or worse, don’t know it’s up to them to do so! This is driving up your energy bill without you even knowing. So why not avoid this altogether and have energy saving controls installed. This will activate automatically when you enter the room, detect your presence whilst you are in there and then automatically turn itself off when you leave. The benefits to such products are obvious, especially when you think about who is in control of the bills and who wants to stop wasting money. How often do I have to get my electrics tested? Electrical testing is known in the trade as periodic testing which is followed by certification in the form of an Electrical Installation Condition Report (EICR). The following should help you understand more about electrical testing but for clarity, always speak to a professional electrician who will keep you up to date on the latest recommendations. 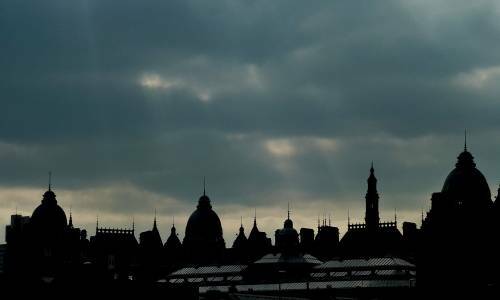 The skyline of Leeds has changed a lot since we first opened our doors in 1947. With more Leeds developments in the pipeline we think it's the perfect chance for the city's contractors to shine. Most of the work we do is hidden away but if you look hard enough you'll see reminders of our contributions to some of the most iconic buildings in Leeds as one of our team members recently discovered. 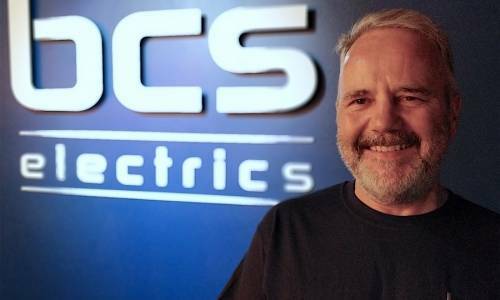 In August we welcomed Andrew Rogers to the BCS Electrics team. Read on to find out what he'll be doing in his role as estimator.